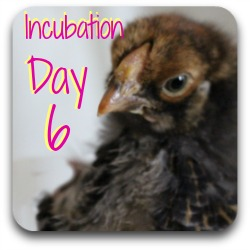 Incubation : what's happening with a chicken egg at day 7? At the end of the first week of incubation the embryo is looking a little less like a spider and more like what most people would think of as a chick. 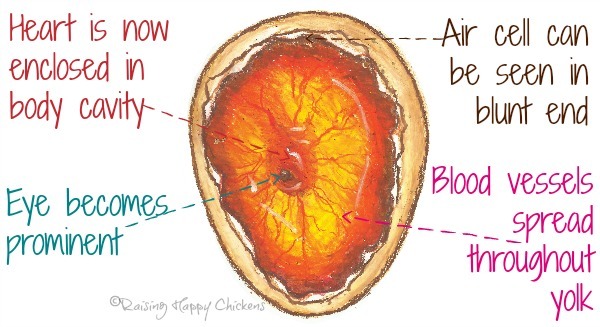 If we took a look inside the developing egg today we'd see the blood vessels growing even more and the eye of the embryo would be clearly visible. With a microscope, we'd be able to see the start of the egg tooth developing. 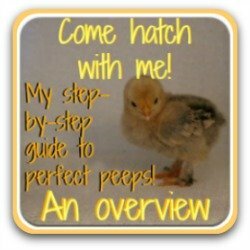 Today in the shell : what's happening to the chick? This first week is a critical one, and we're now coming to the end of it. 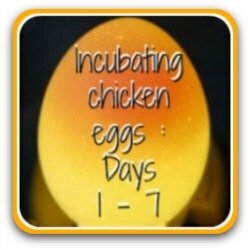 All the main parts of the chicken are present by the end of day 7 and what we'll see during the next two weeks is those different parts growing and developing. The incubated egg at day 7. 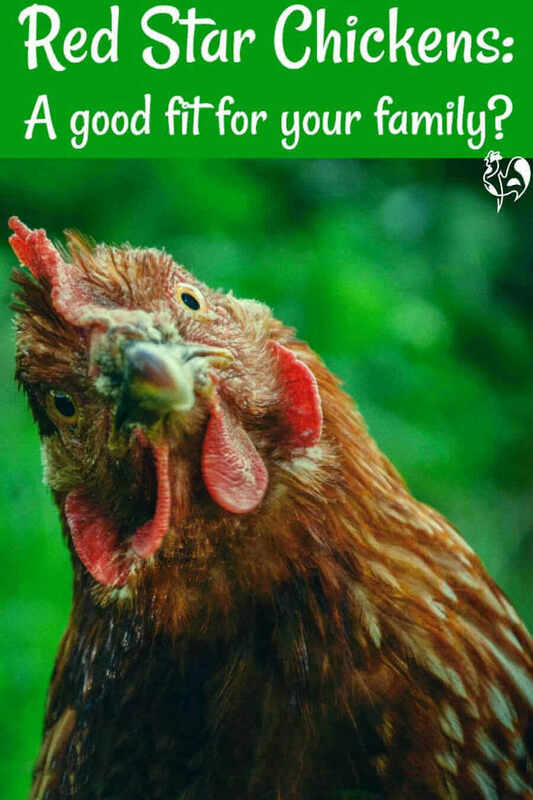 On the feet, digits begin to appear which will grow into toes; a chicken usually has four on each foot although some breeds, such as Silkies and Faverolles, have five. The feather germs begin to form on the tail and thighs. And it's all going on in the head today! With a good candler the eye is now clearly visible as it's increasing in size and today the sclera, or outer layer, begins to develop. 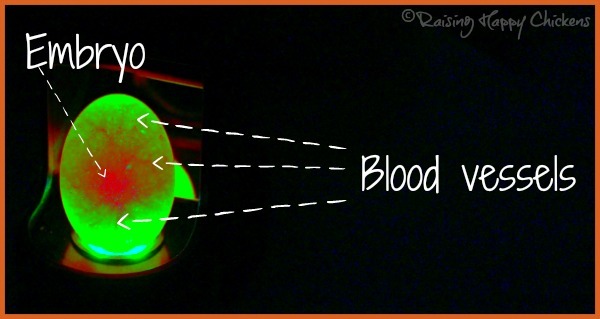 In humans this is the 'white' of the eye; in chickens the outer layer is the same colour as the iris. On top of the head there's now evidence of the comb starting to form and finally today, the 'egg tooth' is beginning to grow. One of my newly hatched Light Sussex chicks with its egg tooth - the pale tip to the beak. 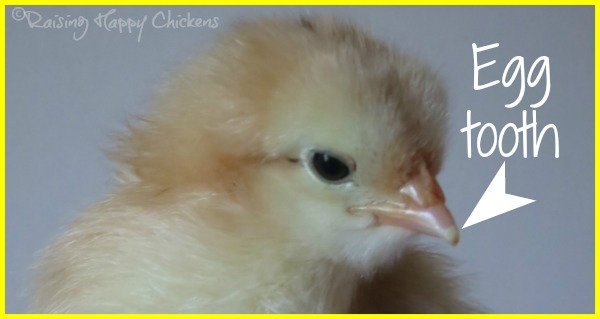 On a newly hatched chick you'll see this as a small, pale tip to the beak. It's a critical part of incubation growth because it's this which will act as a tiny hammer at the point of hatching. The chick uses it to break through first the membrane and then the shell. It falls off the beak 24 hours or so after hatch. What can we see if we candle the egg at this stage of incubation? Yesterday, we saw that the chorion and allantois fused to form the chorioallantois or chorioallantoic membrane whose job it is to carry oxygen and nutrition from the shell to the growing embryo, and to take waste away from it. 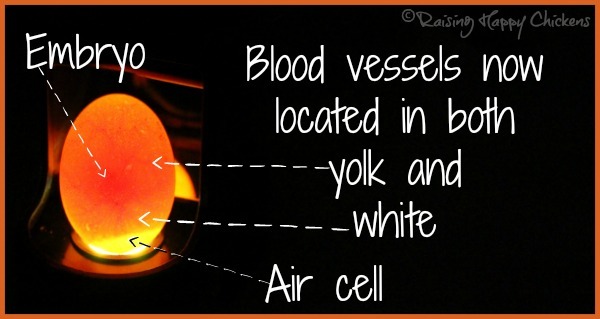 Today we can see evidence of this in the candling images which show the blood vessels now spreading right through the egg. Also now becoming obvious is the air cell, which will continue to grow throughout incubation. Here's the same picture but with the colour and saturation levels altered so that you can see the development more clearly. The air cell isn't as obvious on this image as I needed to reduce the brightness. And below is the same egg, candled in a room with lights on. You can see the air cell very clearly here. 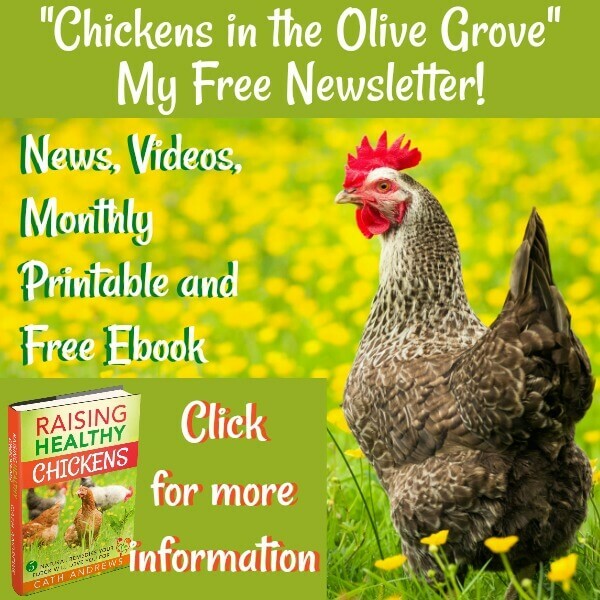 This egg was a successful hatch and is now a very healthy Golden Laced Wyandotte chicken. OK - now you can start candling! Today is the first time it's generally accepted that candling can go ahead. If you've never done it before have a look at this page about what candling is and how to do it. 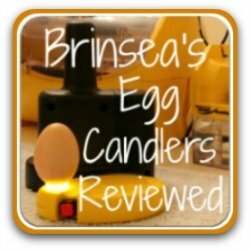 What to do : Take each egg in turn and candle it. Try to identify the blood vessels and the embryo. I generally put a check mark where there is clearly a developing embryo. It's a good idea now to start to mark the air cell. 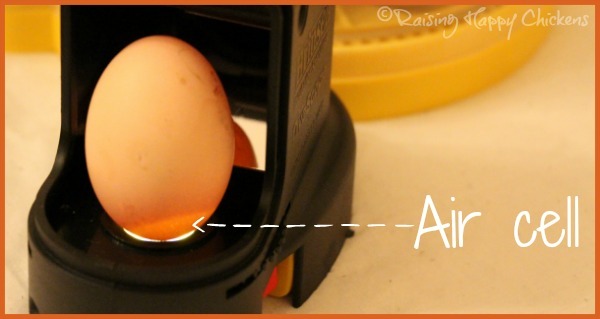 Use a soft pencil and, with the egg on your candler, look at the blunt end. You should see a clearly defined line, as in the picture above. Draw a line around where the air cell is and mark it with the number 7. We will return to this later in the incubation process. 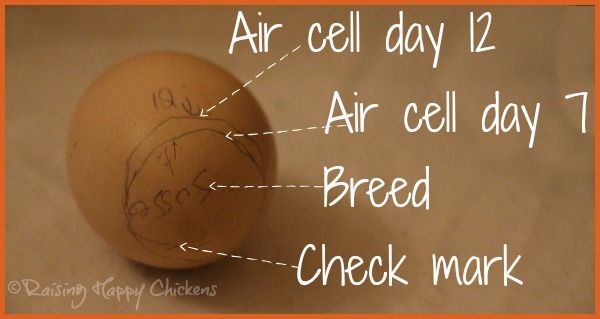 Above is a Light Sussex egg marked with the breed, air cell growth at days 7 and 12, and with a check mark to tell me it's fertile and growing. 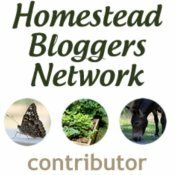 If there are eggs where you can't see any development, don't panic! Mark them with an 'x'. We will look at them again at day 10. You may not see development in the egg at this point of incubation. If you don't - don't despair! 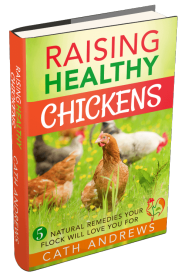 Chickens develop at different rates and the signs aren't always obvious, especially in dark-coloured eggs. 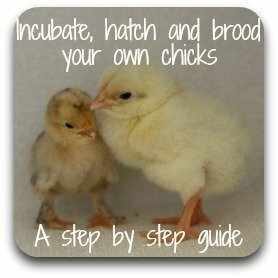 I've had chicks successfully hatch when they were showing no obvious signs of development at this stage. I rarely discard an egg before day 14, unless it has obvious signs of 'oozing'. I've candled my eggs at day 7 of incubation but I don't see any spider shape. Should I throw them out? 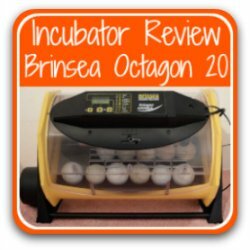 You need to put them back into the incubator and have patience! Don't candle again for another three days, at which point you will almost certainly see development. 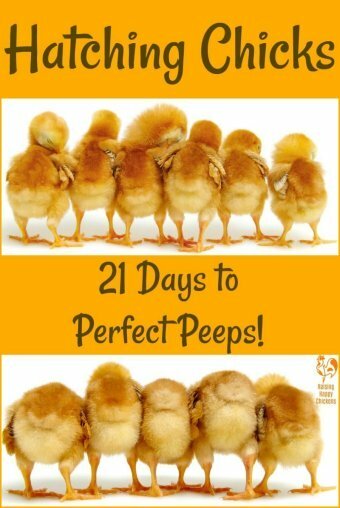 The earliest I would discard eggs would be at day 14. 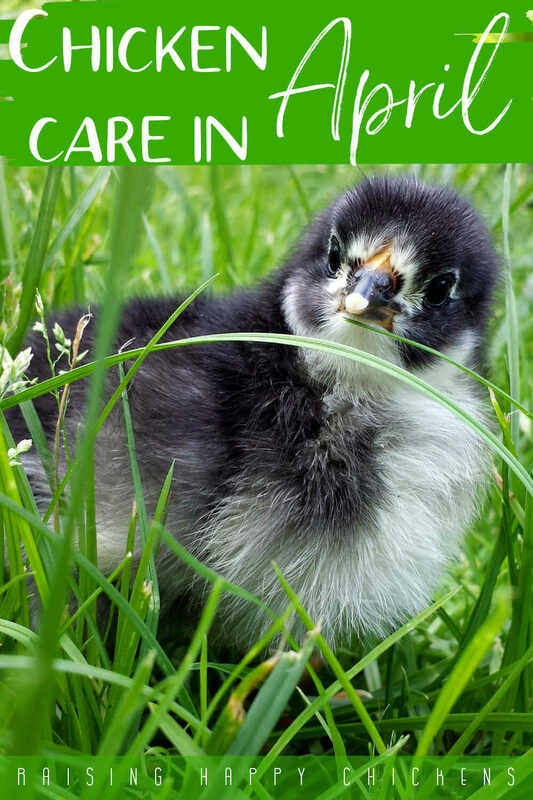 At each stage of this incubating series I feature a photo of one of my own chicks. 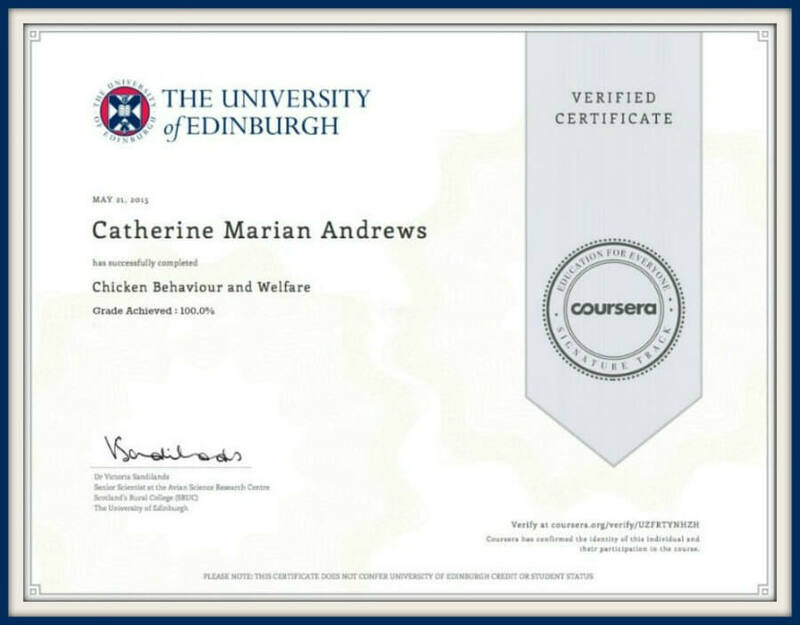 It focus on what we're working towards - a successful hatch and a healthy, happy chicken. 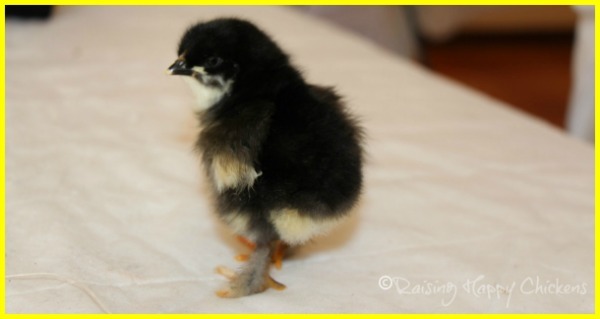 This is one of my little Black Copper Marans chicks at just 36 hours old. Notice she already has the characteristic feathering on her legs. 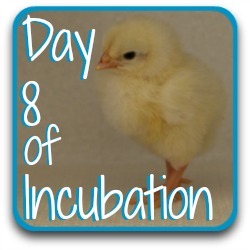 Would you like a reminder e-mail at each step of the incubation process?